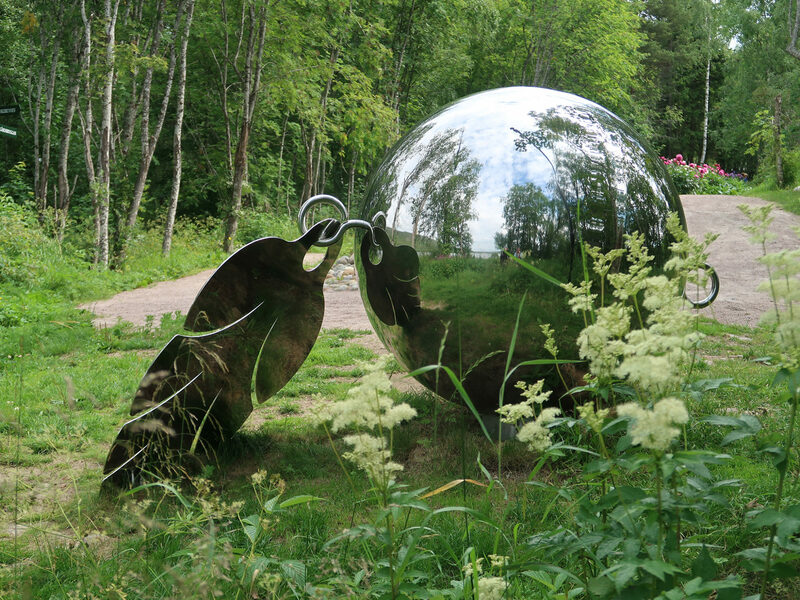 Between leafs and flowers in a beautiful garden at Köpmanholmen, south west from Örnsköldsvik, you can find art and sculptures of different kind. 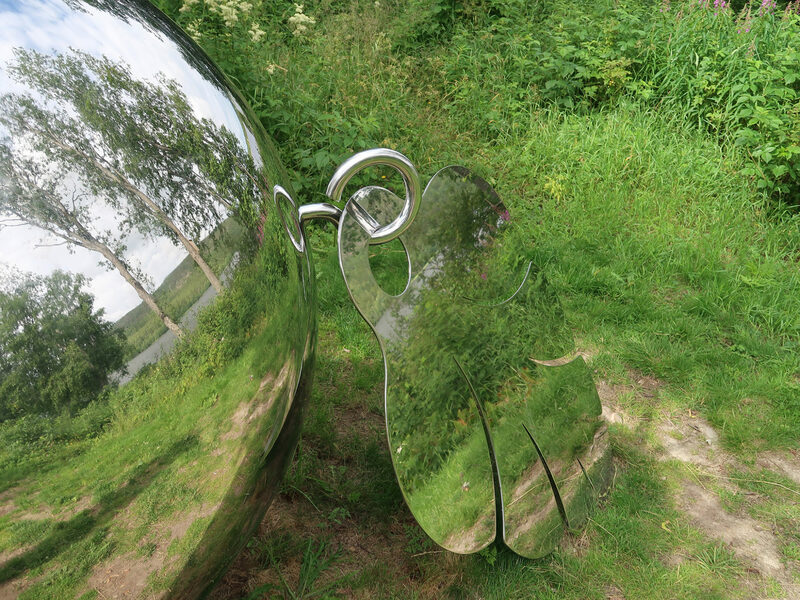 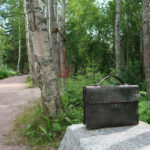 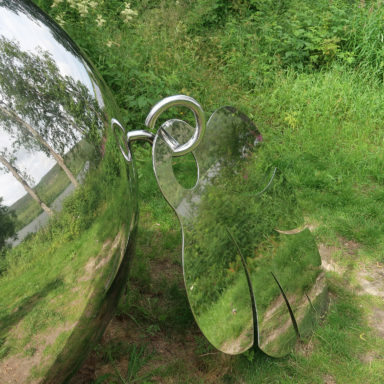 The sculpture park is the heart of something called High Coast Art Valley, a trail where you can explore both interesting art and beautiful nature. 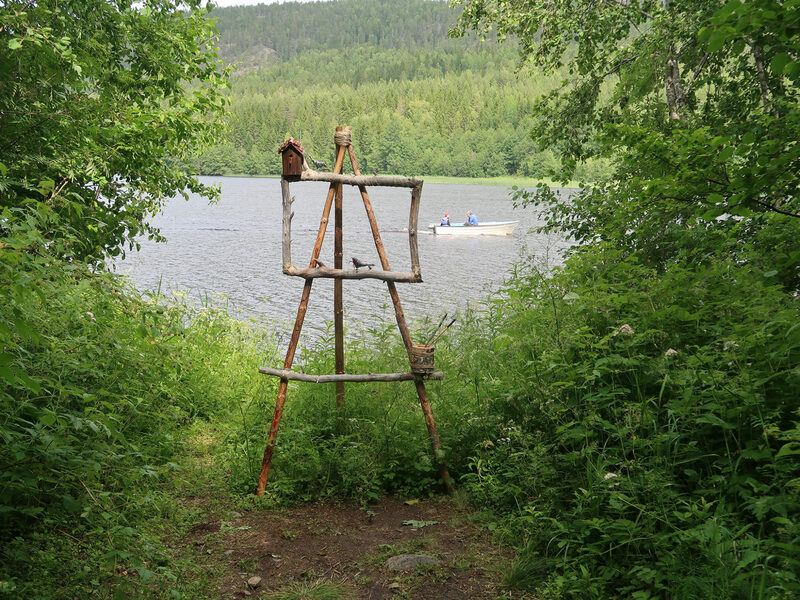 The trail is partly funded by Jonas Nätterlund who was born in this valley. 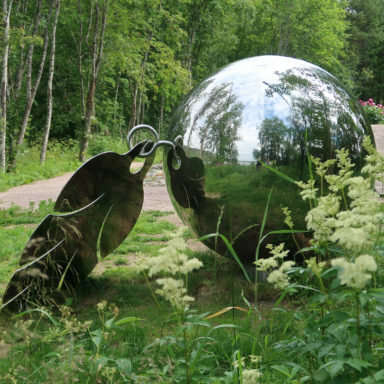 After his death he donated all his market shares to fund public art in his home-region, a great gift that enables cultural development in the area. 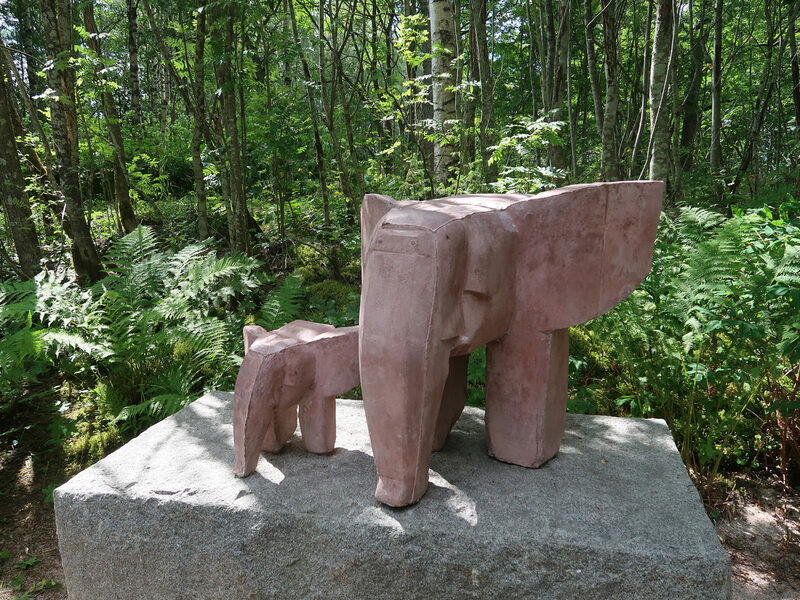 The ambition is to place a new sculpture here every year, this summer two pink elephants moved in to the park at Köpmanholmen. 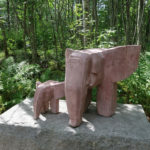 The sculpture is called Lilla elefanten drömmer (Little elephant is dreaming) and is made of concrete by Torsten Renqvist. 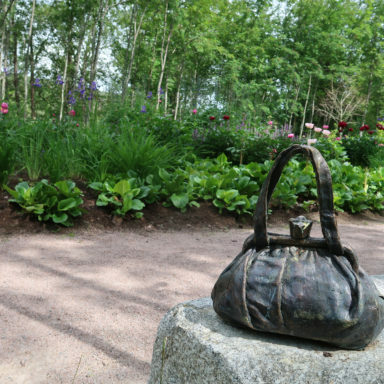 Another interesting sculpture in the park is Libjiesbåaloe by Helena Byström, a piece of art inspired by a detail from a Sami finery. 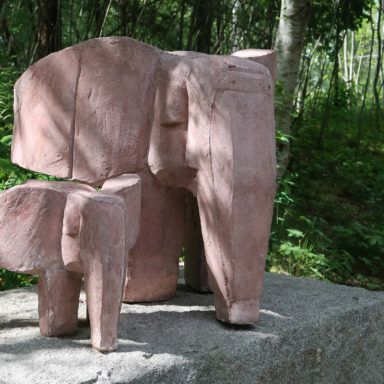 A long time ago the Samis lived here at Köpmanholmen, before the big wood factory was build, this sculpture can be seen as something they dropped and left behind. 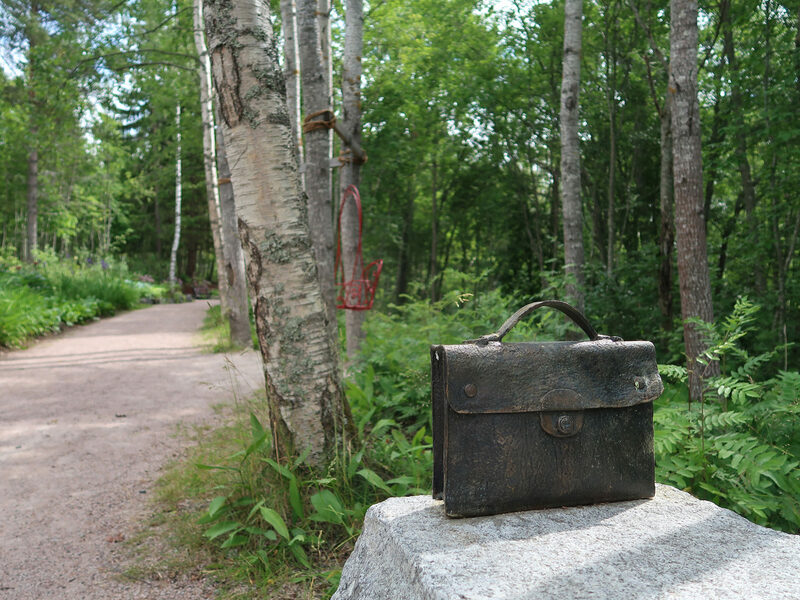 From 1862 until late 20th century the sawmill and the factory was the most important operation in the area. 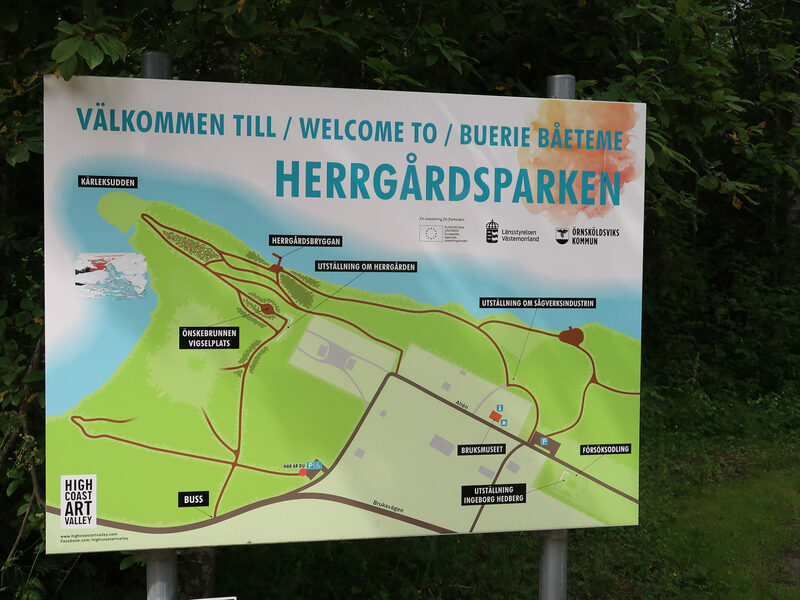 The park is restored and rebuild from the time when a great mansion stood here. 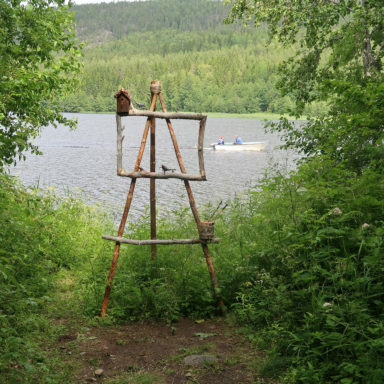 The famous Swedish artist Hans Hedberg was born here 1917, his father was the manager director at the factory at the time. 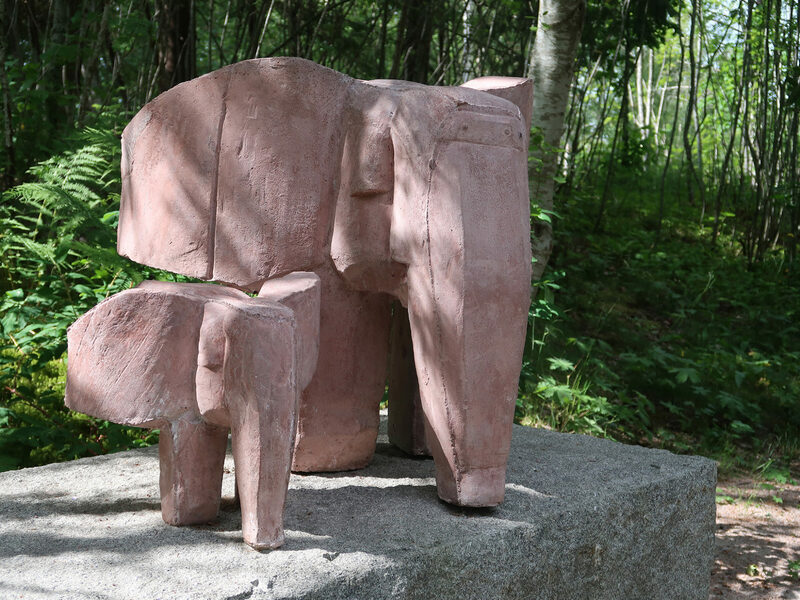 Today the factory is gone and we can enjoy the beautiful location near Nätraån-river while we explore the sculptures. 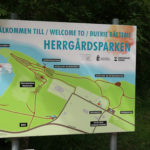 The day we visited the park it was even a wedding here, so you can imagine it’s a nice place. 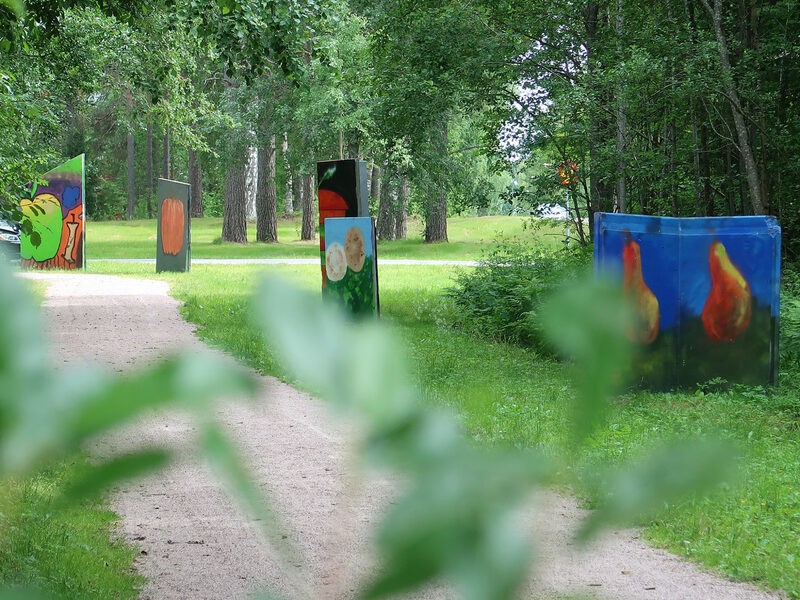 But High Coast Art Valley is more than the park, for example you can visit the island Ulvön by boat from Köpmanholmen. 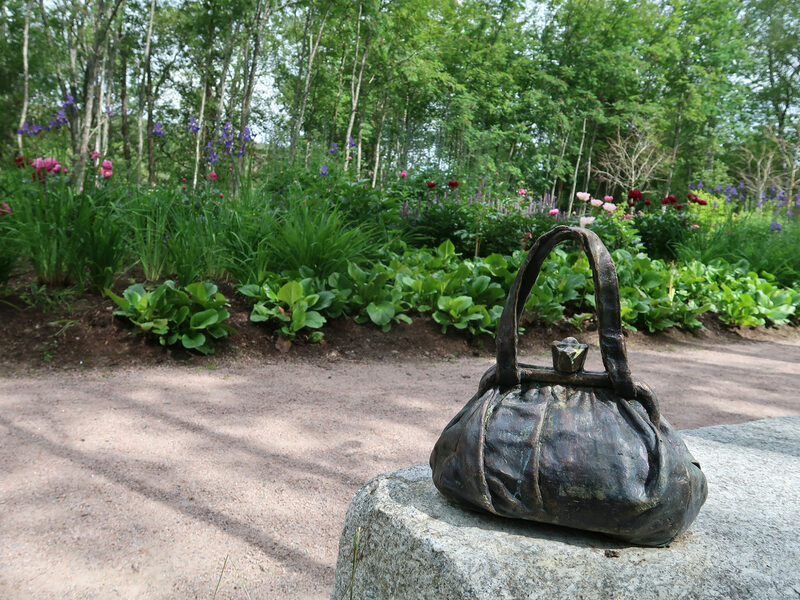 Ulvön is also part of the trail and here you can find a wolf in bronze howling to the sea. 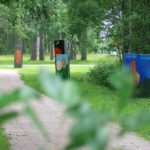 Here is the map of the entire trail. 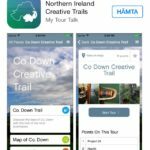 We support creative trails and spaces and at MyCreativeEdge you can find more places to visit or register to show your own trail or space if you run one. 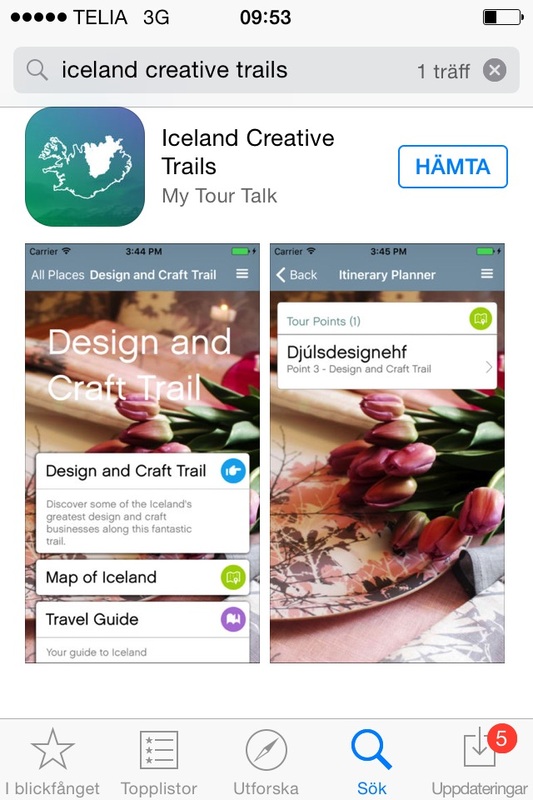 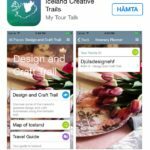 At App Store you can also find two brand new trails with creative spaces, put together by a Creative Momentum project. 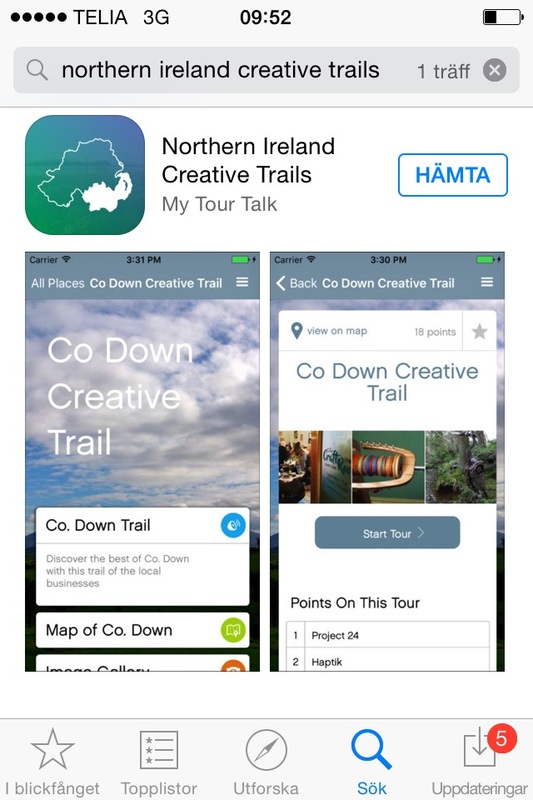 One of the trails is located in Northern Ireland and the other one in North East Iceland.